The late Benjamin Graham may be the oldest of the gurus we follow, but his impact on the investing world has lasted for decades after his death in 1976. Known as both the "Father of Value Investing" and the founder of the entire field of security analysis, Graham mentored several of history's greatest investors -- including Warren Buffett -- and inspired a slew of others, including John Templeton, Mario Gabelli, and another of Validea's gurus, John Neff. Graham built his fortune and reputation after living through some extremely difficult times, including both the Great Depression and his own family's financial woes following his father's death when Benjamin was a young man. His investment firm posted per annum returns of about 20 percent from 1936 to 1956, far outpacing the 12.2 percent average return for the market during that time. Since 2003, this portfolio has returned 493.8%, outperforming the market by 301.6% using its optimal annual rebalancing period and 10 stock portfolio size. 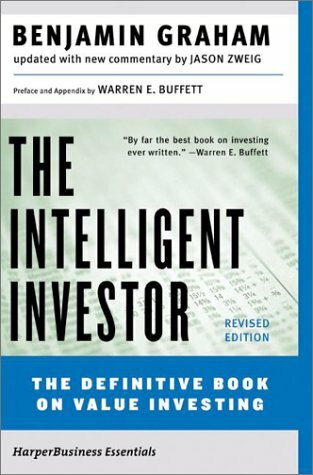 Validea used the investment strategy outlined in the book The Intelligent Investor written by Benjamin Graham to create our Value Investor portfolio. Not surprisingly, given that he lived through his family's financial troubles and the Great Depression, Graham used a conservative, risk-averse approach that focused as much on preserving capital as it did on producing big gains. Trendy, hot stocks didn't garner his attention; he was concerned with companies' balance sheets and their fundamentals. How much debt did they carry? How did their stock price compare to the amount of per-share earnings they were generating? Did the firm have strong sales figures? This value-centric, company-focused approach may be used by a lot of investors today, but it was Graham who first popularized it. A key concept behind his approach was the "margin of safety" -- the difference between a stock's price and the value of its underlying business. Graham focused on stocks with high margins of safety (meaning their stocks were selling on the cheap compared to what he believed to be the intrinsic value of their businesses), because their already low prices offered significant downside protection.